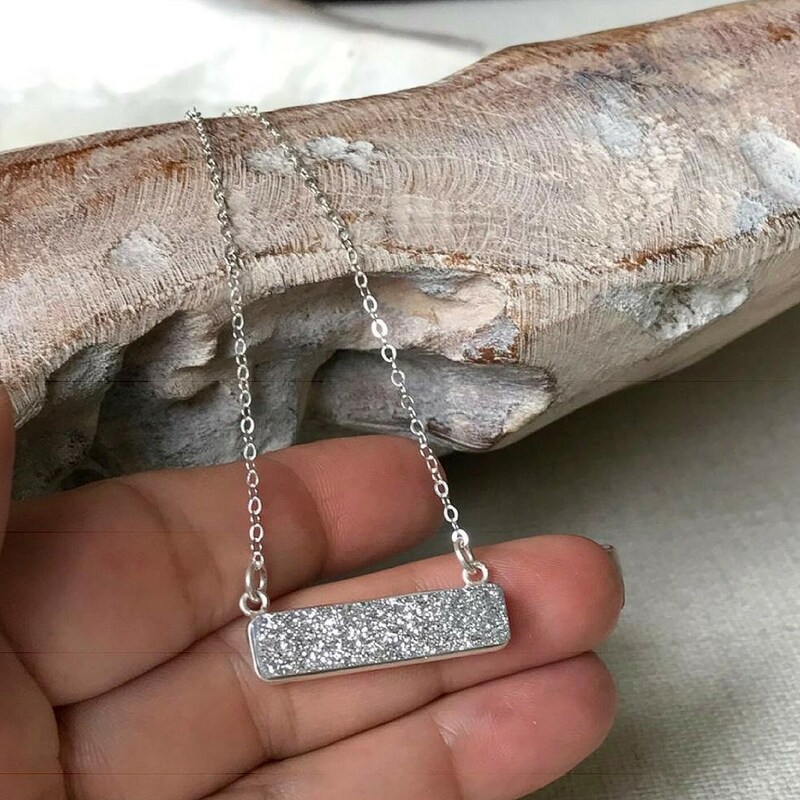 Gorgeous & simple, this sterling silver druzy bar necklace is finished with sterling silver chain, lobster claw clasp & findings. Dress this sweet necklace up or down, it goes with everything!! The necklace is available in 16" and 18 ". Please make your selection from the drop down menu above. 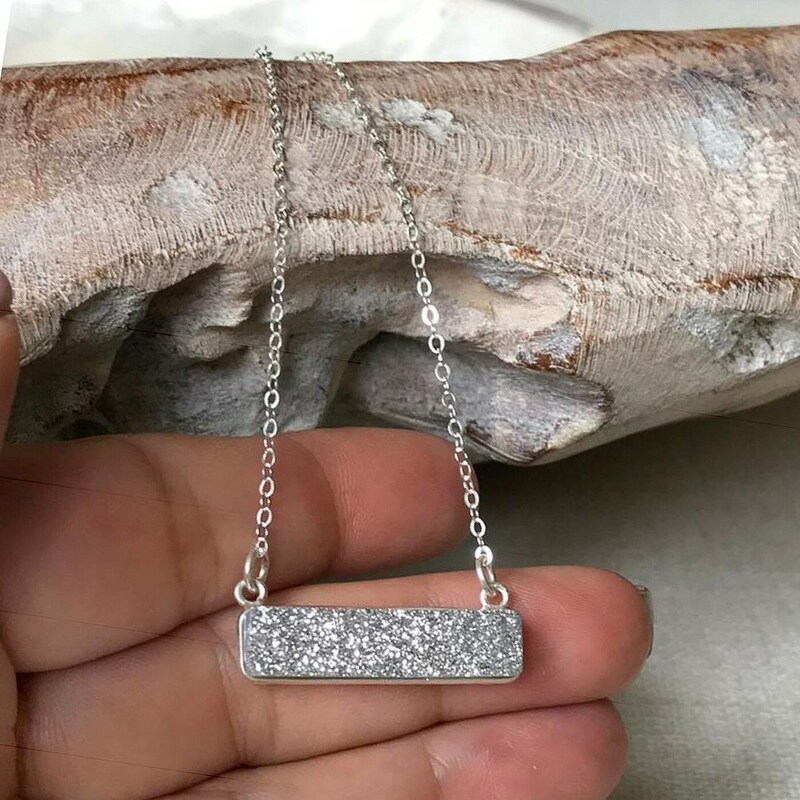 The druzy bar is approx 30x8mm.